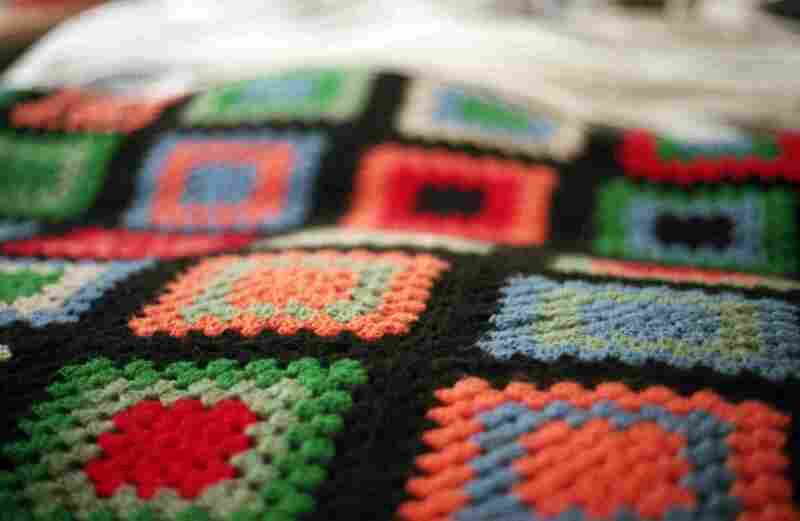 The crochet granny square is one of the most iconic motifs in the history of the craft. In addition to the original crochet pattern, there are many variations of crochet squares that build off of this design. But what can you do with a granny square? Plenty! The crochet granny square can be used alone or in sets to create everything from bunting to blankets. You can change the color layout and create an entirely different project. Here are ten of the best ideas for what to make with crochet granny squares. The most common, obvious way that people have used granny squares for decades is to join granny squares together into crochet blankets. You can make every square the same, make every square different or mix and match crochet granny squares to create unique afghans. If you already have a stack of crochet granny squares, this is the perfect project to use them up. You can even just work a single granny square with many rounds into a square blanket. Add an amigurumi toy in the middle to make it a baby lovey blanket. Or work it so large that it drapes over your bed. The options are seemingly endless for making granny square blankets. A single crochet granny square is the perfect shape to start a simple crochet baby bib. You just need to add some "arms" and a tie to close it and you've got a bib that covers baby from any mess. This baby bib is made using very thick yarn so it works up super quickly. The short "arms" actually look a little like ears and make this pattern look a bit like a teddy bear! Crochet two granny squares and stitch them together to make a really simple scrubby or potholder for the kitchen. This type of project works best if you choose a solid variation of the classic granny square to protect your fingers; this one is a circle-in-a-square style. Add a crocheted loop to hang it on the wall. Granny squares can be used to create the body of fingerless gloves. Add some stitching around the wrists to make the gloves fit correctly and add even more to make the gloves longer on the arm. This design adds a crochet heart, which is an optional appliqué that you could leave off or adjust to a different motif. Stitch a row of granny squares together vertically to create a crochet scarf. This is a very versatile option, since you can add more squares across to make a wider scarf and more squares down to make a longer scarf. Crochet squares of various sizes work to make scarves. Add fringe or tassels for an extra pop. Granny squares can be used to make all accessories from head to toe. This one uses granny squares in combination with one granny pentagon to create a unique crochet hat. The hat is designed with specific color changes in the squares to make the centers of the squares look like dots across the design. Play with colors to create a crochet hat that suits you perfectly. Granny squares are a great design for making a crochet purse or bag of any size. Two squares back to back gives you a small coin purse while a set of big square like this lets you create a big beach tote. Granny square purses work best when lined so it helps to have sewing skills for this project. Stitch your granny squares together and shape them to create a beautiful, colorful coat or cardigan. This particular design has a hood to make it a cozier, more contemporary, more casual garment. The pattern is sized to fit a small / medium adult but you can add strips of granny squares to enlarge it. This free tutorial takes you through all of the steps that you will need to learn how to weave yarn into a granny square. Take your preferred yarn and make a wall hanging of any size. Some people really love making crochet granny squares but don't actually enjoy joining them into projects. That's okay! There are some charities that accept crochet granny squares just as they are. People on the other end will stitch them together into blankets to give to the recipients of their cause. Knit-a-Square is one example of a charity accepting these donations.